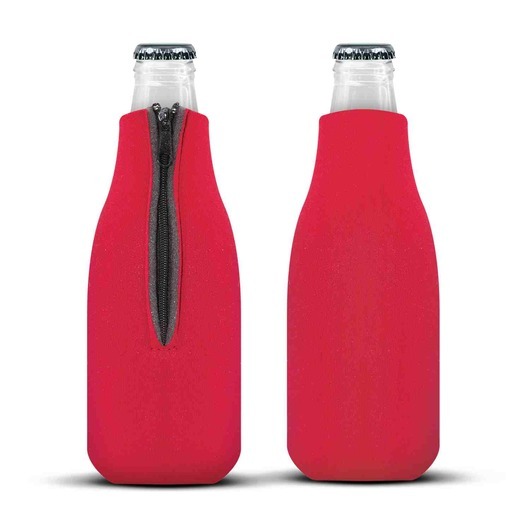 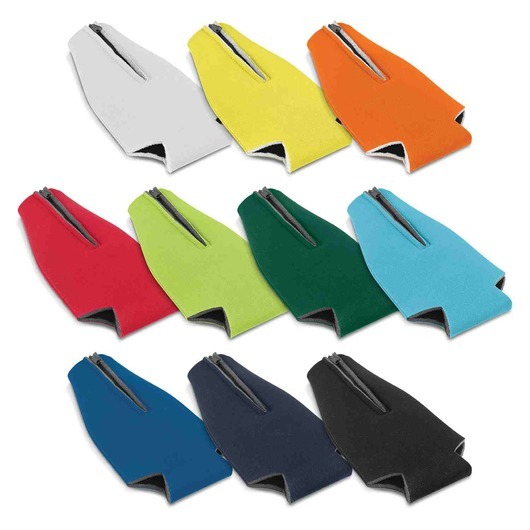 A colourful wetsuit style stubby cooler that will keep your drinks cool and your hands dry. 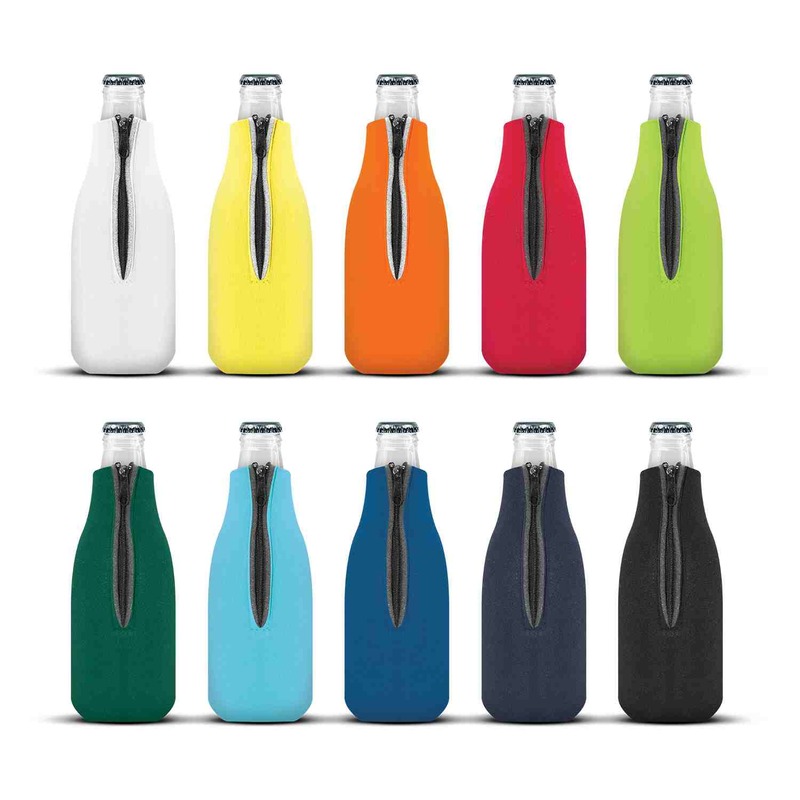 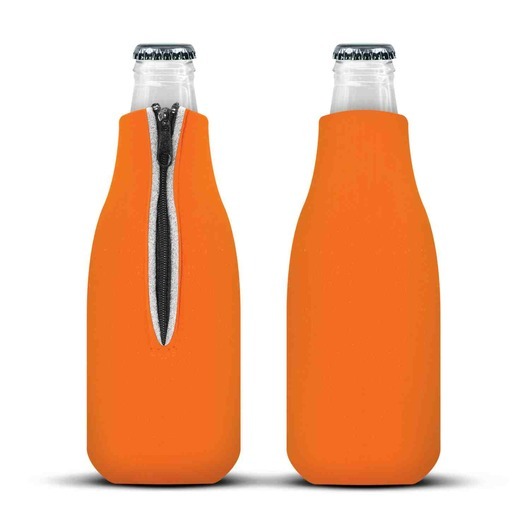 Zip up your favourite stubby sized bottle and keep them cool with some of these colourful bottle buddies. 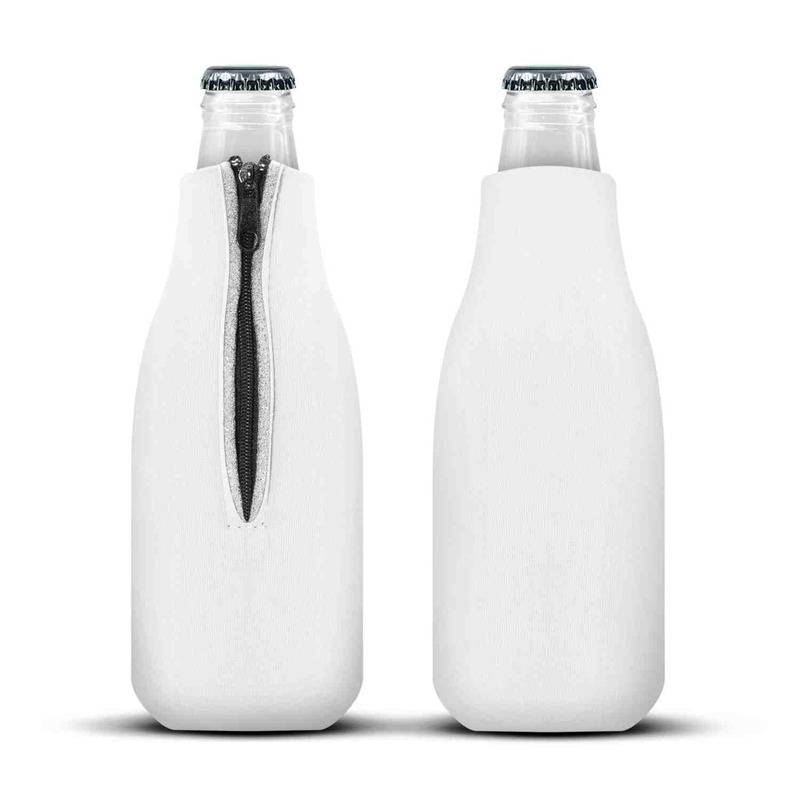 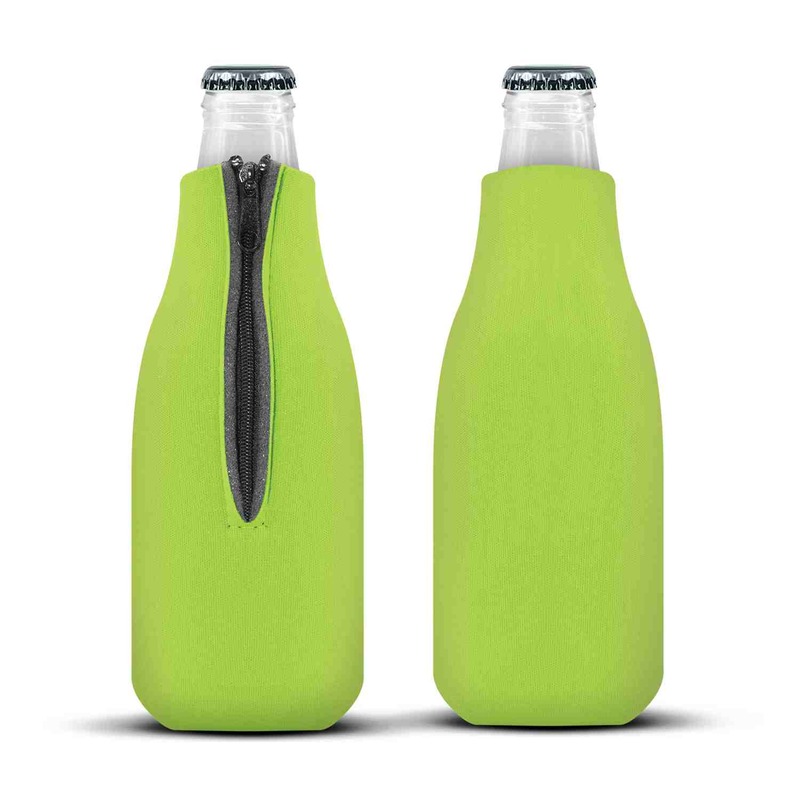 They are made from laminated open cell foam material and have powerful insulation properties to keep your drinks cool and keep your hands dry will holding the chilled bottles. These can also be flat packed for compact storage when not in use.